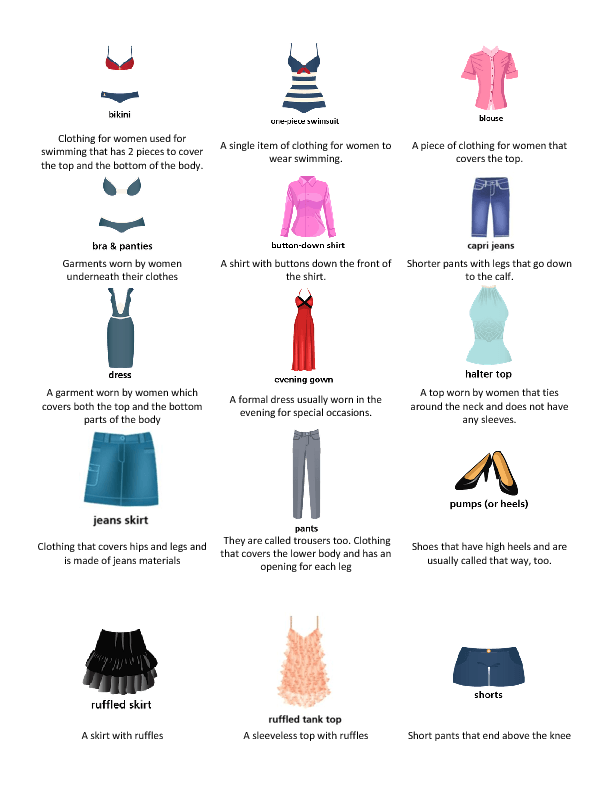 This is a common basic vocabulary list for clothing. A link is attached at the end to use it with an interactive video where the images were taken froml. This might be used to have students listen and repeat the vocabulary. Some items include a small description as well. This list is useful for beginners to lower-intermediate levels.